Auckland Newmarket Motel’s reception offers a great selection of brochures of local Auckland attractions! Or ask your host Watchara for a recommendation on the best activities and attractions in the region. Victoria Park Market offers visitors to Auckland a unique experience, like no other. Open 7 days a week from 9.00am to 6.00pm, the experience includes an amazing range of products for sale, many of which are not available elsewhere in Auckland or New Zealand. Take some time out to have a meal in one of three licensed restaurants, visit the food court which offers delicacies from around the world, enjoy the cultural richness of a shopping centre which enjoys support from the range of peoples who live in our city, or learn about the history of the site upon which the shopping centre has been developed. Live family entertainment is often provided to make your experience even more enjoyable. 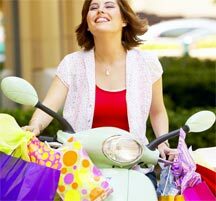 Victoria Park Market is just a 10 minute drive from our Auckland motel accommodation. Click here to view our Google location map for directions. Auckland Art Gallery - Toi o Tamaki has the largest and most comprehensive collection of New Zealand and international art in the country. 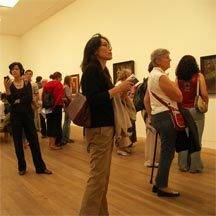 You’ll find the Auckland Art Gallery just a 10 minute drive from our corporate Auckland accommodation in Auckland’s CBD. A public art museum, it exhibits works from its collections, supplementing these with a programme of touring exhibitions. Relax in the Gallery Café or browse the Gallery Shop. Open 7 days from 10.00am to 5.00pm, the gallery offers free entry to most exhibitions. New Gallery, known as the contemporary wing of the Auckland Art Gallery, presents changing and new exhibitions and artists' installations. New Gallery is also open 7 days from 10.00am to 5.00pm; however, an entry fee may apply. The current Auckland Museum building (opened in 1929) is a memorial to New Zealand war dead who sacrificed their lives in the First World War, Second World War, and other conflicts. 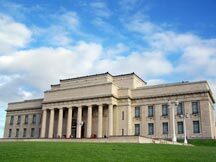 The Auckland Museum is prominently sited in an extensive central city park, on one of Auckland's many extinct volcanic cones, and overlooks Auckland City and the beautiful Waitemata Harbour. The Auckland Museum is the ideal Auckland attraction on a wet day, located just an easy five minute drive from our Epsom motel accommodation. The Museum enjoys very high visitation and is a popular destination for Aucklanders and visitors to the city. Nowhere else can one so quickly and so compellingly be introduced to the people of the Pacific and New Zealand, and the remarkable flora, fauna and geography of these islands. Auckland Museum contains 9000 square metres of exhibition galleries over three storeys, and contains two vibrant children's Discovery Centres. A Maori cultural group performs live three times a day, every day and a programme of changing special exhibitions is offered. A modern cafeteria, a must-visit Museum Store and two interactive Information Centres help ensure that your visit is both a long one, and a memorable one. 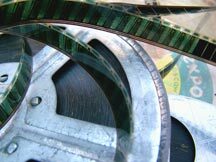 No more than a 20 minute walk down the road from our motel, you will find Newmarket's Village Cinemas, boasting all of the latest movies available on the big screen. The cinema also features a licensed bar / cafe. Please click here for more information on your Newmarket motel accommodation.